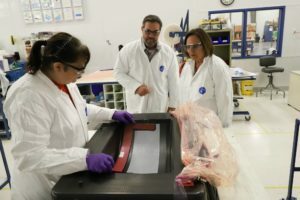 Senator Deb Fischer (R-Neb) visited Royal to learn more about the benefits of lightweight composite materials in aerospace manufacturing. 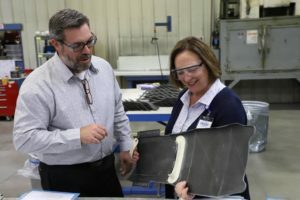 During her visit, Senator Fischer discussed Royal’s addition of 65 positions in Minden, NE and the benefits and challenges faced by employee-owned companies. As a member of the Senate Armed Services Committee, Senator Fischer affirmed her commitment to support our armed forces and expressed her appreciation for a Nebraska company helping to supply aircraft to the US military. Royal also thanked Senator Fischer for her continued support of the Offutt Air Force Base and the various military programs currently being supported by Royal. Thank you for visiting, Senator Fischer!